its offically summer time and I have to got to say I am loving the weather, summer is by far my favourite season and I'm excited to be collaborating with Zaful to celebrate their 3rd anniversary. I have already made some wish lists but they have lots of fab pieces you will not find on the high street . . check out their robes courtes and robes de cocktail curtes featuring very trendy pieces that will look stunning this summer. 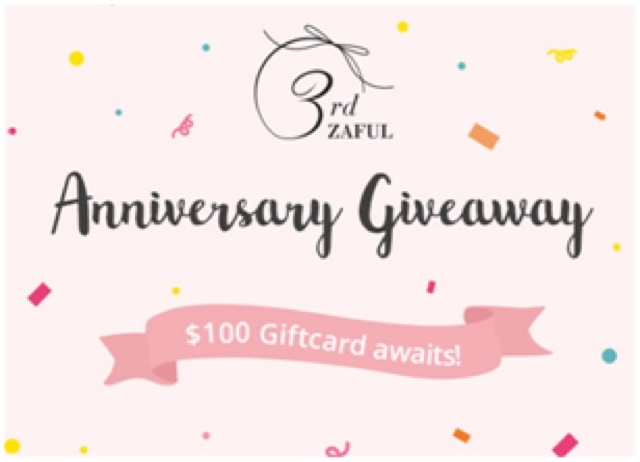 Zaful is also having a Give away, you will find the link at the bottom of the post. I have picked up three pieces that will look fab for different occasions. for all holiday lovers I bring to you this gorgeous mini robe brode plonge , where do I begin with this beauty, the embroidered patterns details are so gorgeous and the design of the day will be perfect for a hot day. The second piece, is this plongeant neck mini robe which i also have, i cant wait to style it. this dress is super fab summer and i love the colour pattern so interesting. 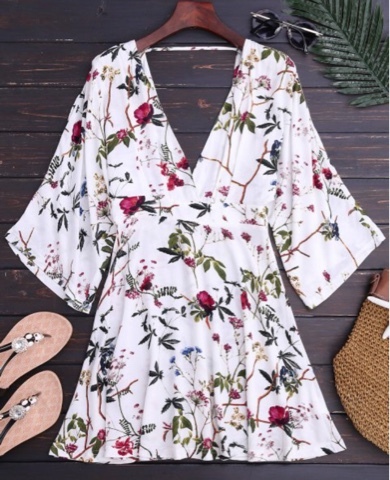 The third piece is this kimono sleeve floral line-robe dress for me is just perfect for summer. i always feel like white floral dresses make you look fresh during the heat weave as we all know it can make can you look tried and washed out. 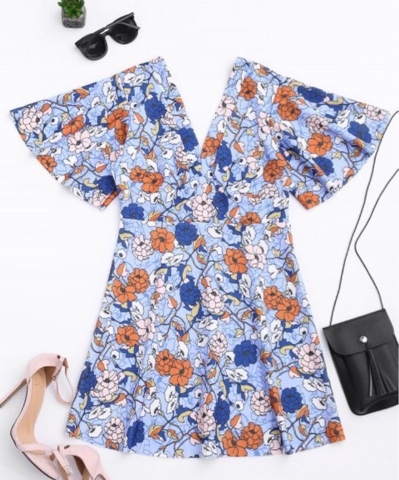 The last piece is this fab kimono sleeve empire OH LALA , you guys already know the love i have for colour and this dress is giving me all vibes of summer. The thing i love about this dress is, you can dress it down with flats to create a day look and easily turn it to an evening look with heels. for me this is definitely a must have piece. let me know what you guys think about the pieces, also do you guys shop from Zaful, if yes what do you guys think about the shopping site?. I have checked out the details about this anniversary blog giveaway. TBH, It's quite awesome. The link to their blog is over here: Zaful official . These are nice summer outfits, my most favourite is the first one. Hurray to Zaful!!! Awesome giveaway! Such pretty pieces. I know right so gorgeous, thank you for stopping by.